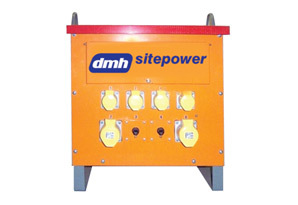 DMH Electrical Services is the trading name of D.M Harris Limited. We are a based in Glasgow, serving customers across Scotland. In addition to most types of electrical work, we specialise in Temporary Electrical Installations for the construction industry. 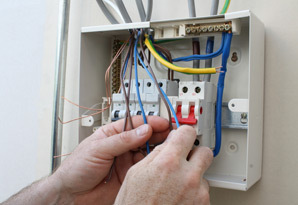 Electrical Testing, Inspection and Portable Appliance Testing (PAT Test) is also available. Please call with your enquiry or email us for a reply. "We listen closely to identify our clients requirements and work with them in an advisory capacity throughout the design, planning and installation process to ensure the highest level of quality and service is achieved on every project"
We understand there will be occasions when we will have to react quickly to our clients needs and have the expertise, personnel and equipment to respond accordingly. Our reputation within the industry has been developed over more than 30 years through the Managing Directors personal involvement with each project. Reliability accountability and integrity are key factors in achieving client satisfaction. Quality and attention to detail is integral to the continued growth of our business and we are committed to ensuring this is reflected in all aspects of our work. Our aim is to achieve total satisfaction, on time, first time, every time by ensuring our operatives are briefed on their daily activity and keep in regular contact with our supervising staff. Our staff and operatives are trained to enable them to continue to achieve the highest levels of quality we expect. To achieve this training is carried out through recognised industry training associations. 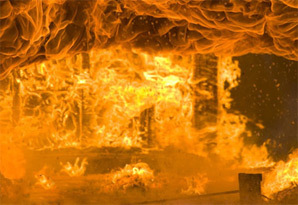 As a company we are fully committed to meeting our safety, health and environmental responsibilities in terms of complying with relevant legislation and transmitting the belief and commitment that safety, health and environmental protection are an integral element of all our activities and are of equal importance to quality of service. We are located next door to McDonald Flooring.